Ensuring security on construction sites is of upmost importance to protect both workers and the general public. On top of this, the installation of a good system of security will make sure that all valuable machinery and materials are at a far lower risk of being damaged or stolen. The first thing to do is ensure that you put in place a good site security plan before you start carrying out any construction work. You should also appoint a dedicated security supervisor to ensure that the plan is followed and that no problems arise due to disorganization or misunderstandings. 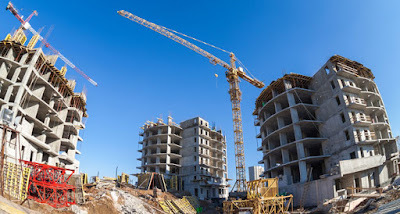 By following all of these tips, security on your construction site can be drastically improved. The key to the whole plan is organization; make sure that you have adequate surveillance, guarding, perimeter fencing, staff and visitor monitoring, safekeeping of valuables and inventory checks, and you should be well on your way to having a very secure site. This is really interesting. I'll send this to my friend who works in a construction company in the Philippines. I believe this is a great help for them, also for the business.